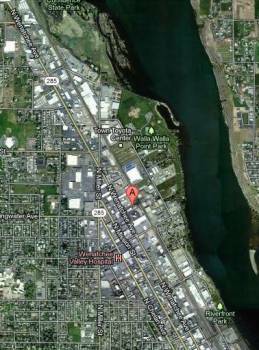 This Wenatchee, Washington hotel offers friendly customer service, large accommodations and an ideal location near attractions and Town Toyota Center. Each spacious accommodation at the BEST WESTERN Chieftain Inn comes complete with cozy beds, cable satellite television with HBO®, a mini-refrigerator and free high-speed Internet access. Wake up each morning to a complimentary full hot breakfast, enjoy freshly baked cookies every day, go for a swim in the hotel's outdoor seasonal heated swimming pool or relax and unwind in the hotel hot tub. A variety of attractions and area sights await guests just outside this Wenatchee hotel. Catch a live show at the famed Gorge Amphitheater, enjoy a variety of water sports and outdoor adventure on Lake Chelan and on the Columbia River, or attend a conference or event at the Wenatchee Convention Center, located nearby.